shure se-215 Archives - SoundNerdsUnite! 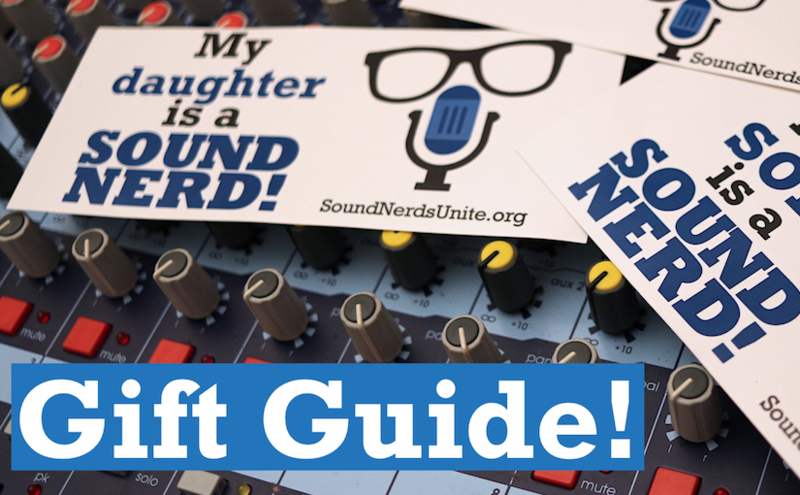 Do you have a “sound nerd” in your life and need to find a few perfect nerdy gifts? I’m here to help! All of these recommendations I’ve personally used with great success. In fact, many of these items remain on my own Amazon wish list! I can’t tell you how often I needed a sharpie and some board tape! My post “What’s in my Live Sound Bag” also has some additional ideas, too! I started Sound Nerds Unite as resource of live sound tips and techniques I’ve gathered over my career. Teaching and mentoring via group and one-on-one workshops is one of my passions! Maybe your Sound Nerd would benefit! Why didn’t I think of this sooner? Just $3 each. Order 3 or more and I’ll throw in a free sticker of your choice! Order now for FREE Christmas delivery. The Pelican 1510. Small yet roomy enough for all of these goodies. Plus it has wheels and perfect for that extra step needed to get on that drum riser. Opt for the lid organizer to keep your kit tight! I can’t tell you how many items I’ve lost along the way. Give yourself a better chance! Try the P-Touch labeler. I always have a handful of good ole’ 3M "foamies" for myself and friends, yet this set stays with you at all times and sounds quite a bit better! Simply essential. Two types to consider: Over-the-Ear and In-Ears (IEM). In-Ears are great for loud environments or a step up from Apple buds. I’ve gone through many over-the-ear models and have settled on two: The Sony MDR7506 or Shure SH840. For IEMS’s, try the Shure SE-215 or less expensive MEE audio M6 PRO. 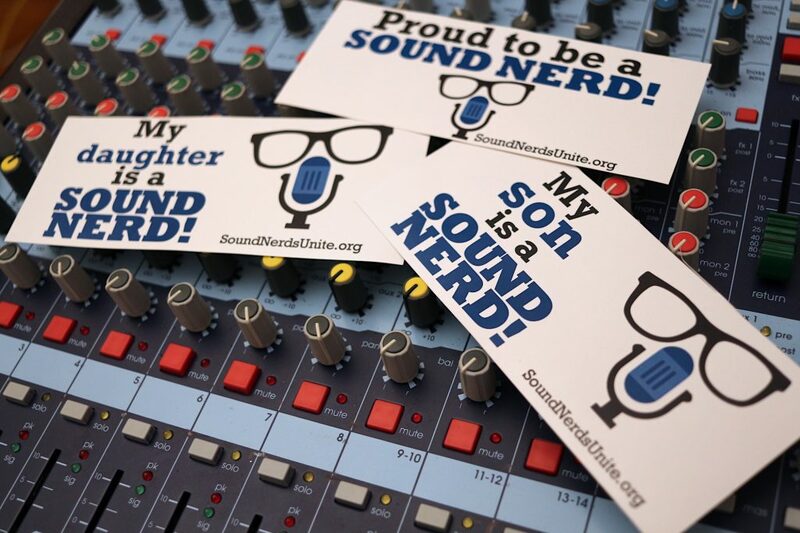 If you spend any time with your sound nerd, the discussion on microphones can run deep! I’ll keep it simple here and recommend a few workhorses: Shure SM58 and for easy home recording, the Rode NT-USB. Essential. Although once loaned to another, human, the Sharpie will magically disappear. Save money and buy your Sharpies in the 12-count boxes. Using the “twin tip” is pretty helpful, too. Adapters, adapters, adapters! I won’t go into detail why turnarounds, y-cables, ground lift / pads , “ipod cable” and a cable tester are essential. Just trust me! Screwdriver, pliers and a soldering iron will handle many challenges! Yes, I know. You may assume we only wear black YET we’re quite fashion conscious. Here’s a few fun ideas. I grew up reading all things sound nerdy via magazines. Mix Magazine, Recording Magazine and Electronic Musician were some of my favorites (and not available on Kindle!). There are also some wonderful FREE subscriptions from Tape-Op and Live Sound International! Just a taste into the world of “gear”! If you need some more ideas, check out this post! 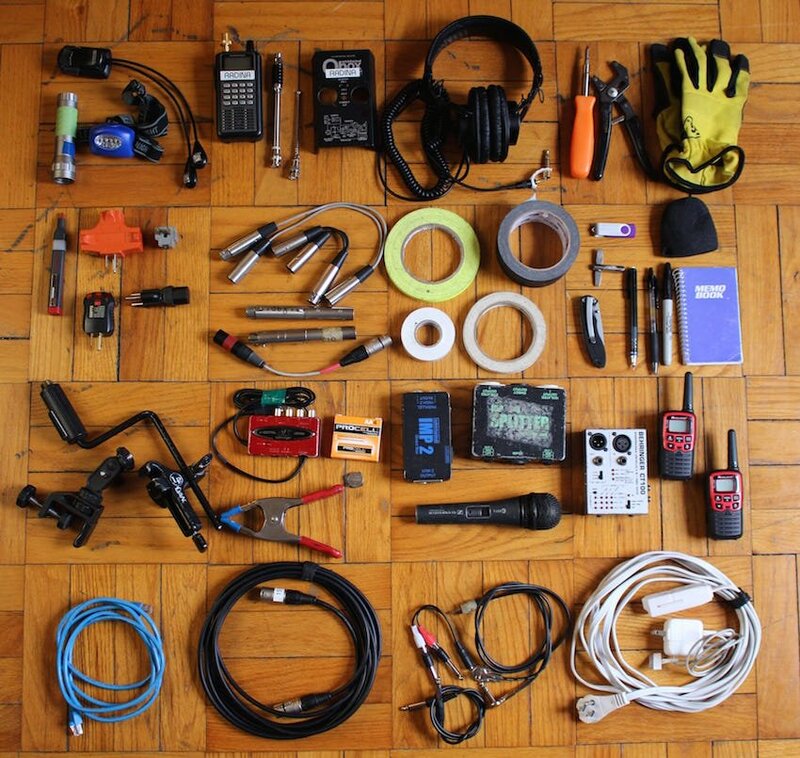 Nicholas Radina’s essential live sound gear that goes to every gig. Posted on December 18, 2017 December 22, 2018 Categories Audio Tips and TricksTags board tape, ear plugs, electrical tape, Gaff tape, headphones, live sound, live sound international, MDR7506, MEE Audio M6 PRO, Microphones, Mix Magazine, mixing board tape, Nicholas Radina, prosoundweb, Recording Magazine, Rode NT-USB, sharpies, Shure, shure se-215, SHure SM58, sound engineer gifts, sound engineer shirt, sound engineer stickers, sound guy gift ideas, sound guy shirt, sound nerd stickers, soundguy, What to buy sound engineer, whirlwind2 Comments on Sound Nerd Gift Guide!